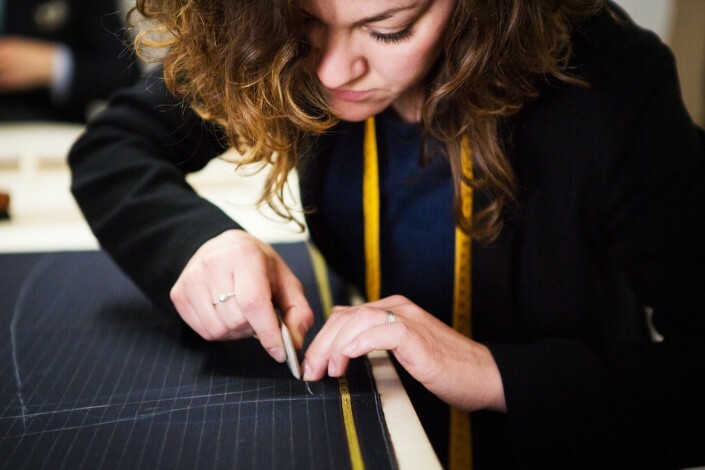 Habitus is the project built through the collaboration of four tailors’ skills and ideas; they work together, cutting and sewing bespoke garments, in a workshop placed in the very heart of Rome. In the tailoring house in via xxiv maggio, just a few steps from the Quirinale palace, the habitus’ bespoke suits are made according to	the traditional principles of true craftmanship, the rules taught by the old mentors. There is no hi tech industrial work machinery; just shears, heavy iron and needle, to create a true masterpiece of complexity, full of high quality finishings and attention to details. Among us, the key to the perfect suit design lies in the fabric; wether wool, linen, cotton or silk, we truly believe the fabric itself will guide us in the making of a well-made suit, proper, durable and expressive. 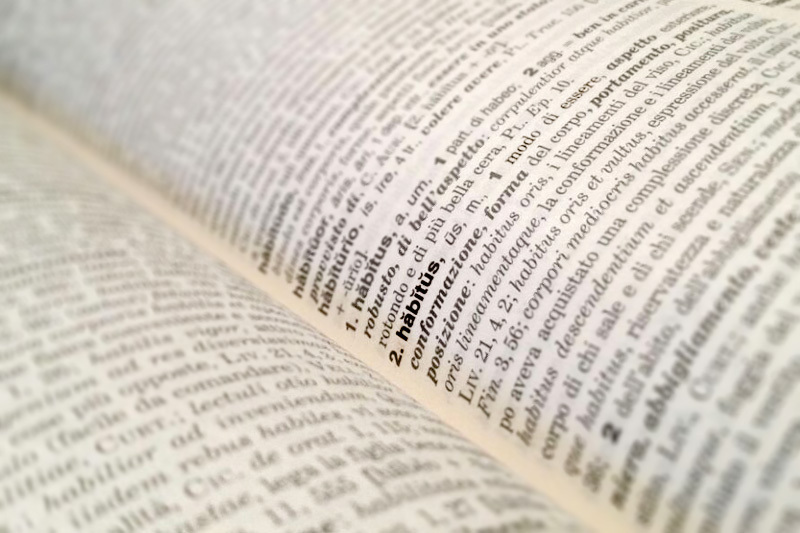 In Latin, habitus means behaviour, way of being, attitude, cultural habit. 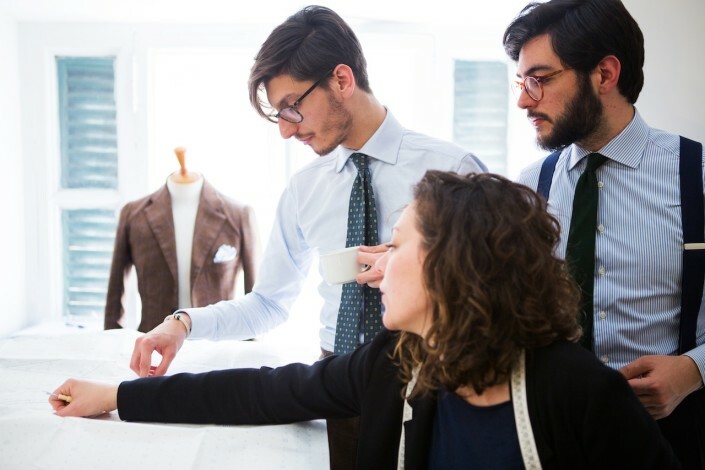 Our garments speak a complex, subtle, versatile yet precise language; the Classic Style in which lie the roots of our vision of tailoring is not a mere list of birdseyes suits, navy blazers or “elegance code”; it is indeed a true grammar, full of inspirations, quotes, people, faces, works of art, houses, books and music. 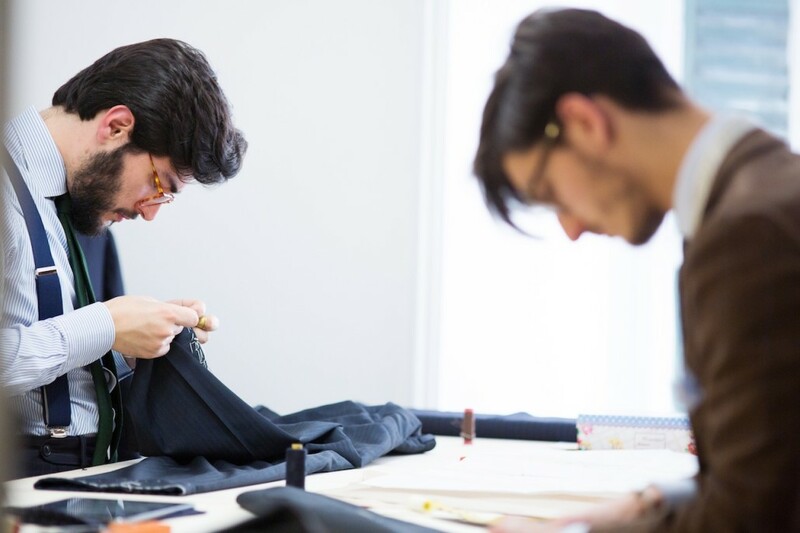 Our concept of “bespoke”, though, is definitely more than a tape around the neck and a custom made jacket; it is the comprehension of the person we work for, and the “translation” of what we see and perceive and what we are asked for into a suit, a jacket, a coat. 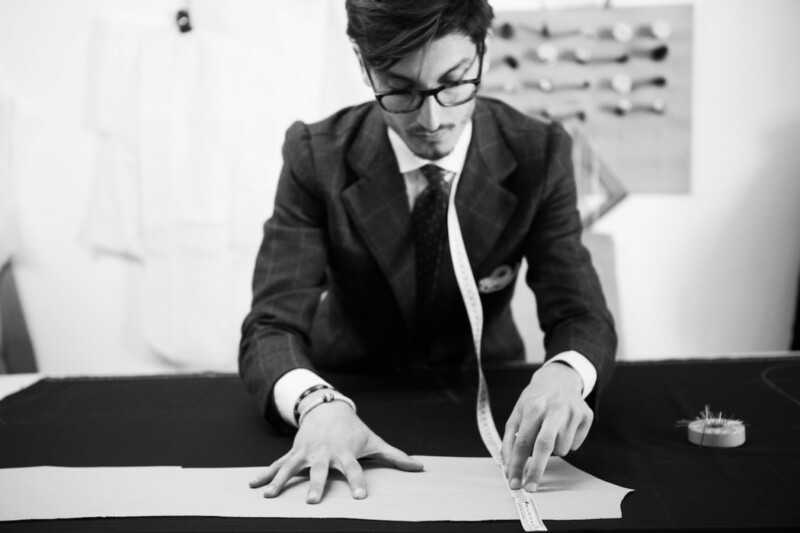 It is the very first moment of dialogue between tailor and client, after the measurement. 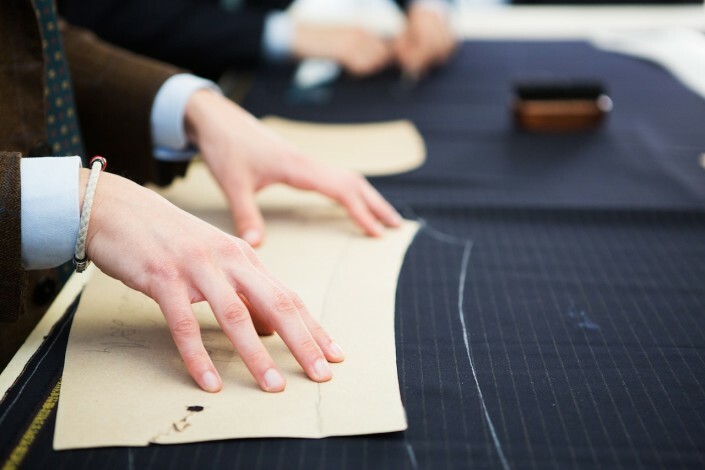 It is actually a reconnaissance between bunches, fabric books, old selected cloths, until the proper material and pattern is found; but it could also be an inverted research, to elaborate the best suit design and shape, inspired by the fabric itself. 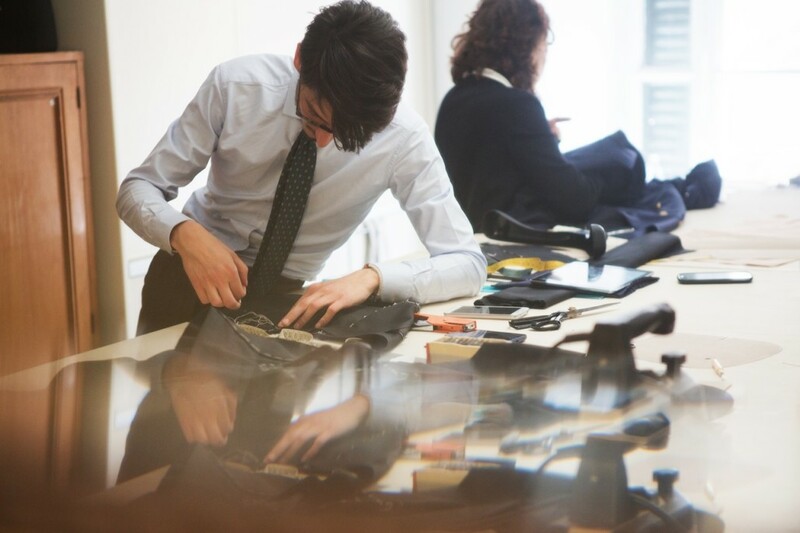 After the bespoke pattern is built directly from the client’s measurement, we proceed to cut the pieces of the suit. 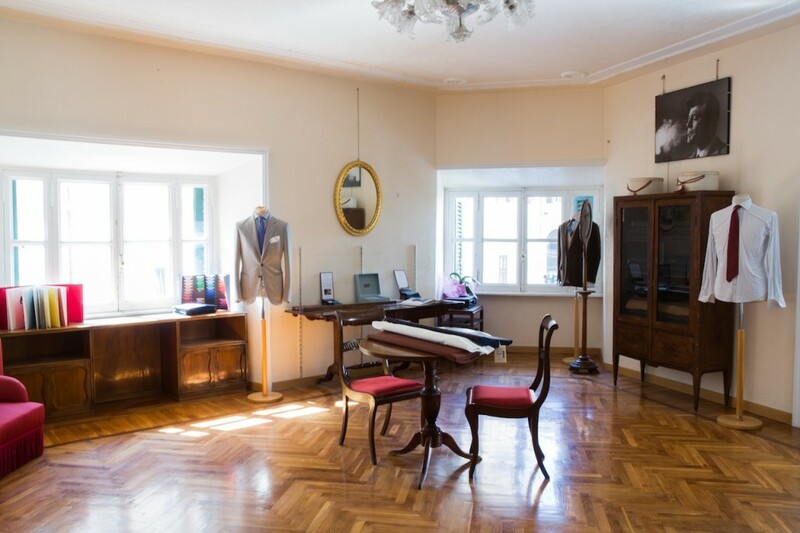 Every tailoring house has its own style, its peculiarity: habitus’ one is the front side of the jacket devoid of darts, with only a curve between the armhole and the sidepocket. It Is the first assembly of the suit with its bespoke canvases, cut and sewn by hand. Is the moment when the suit is refined with all the details, pockets, linings, lapel shape and collar style; the lining and the sleeve are still only basted. 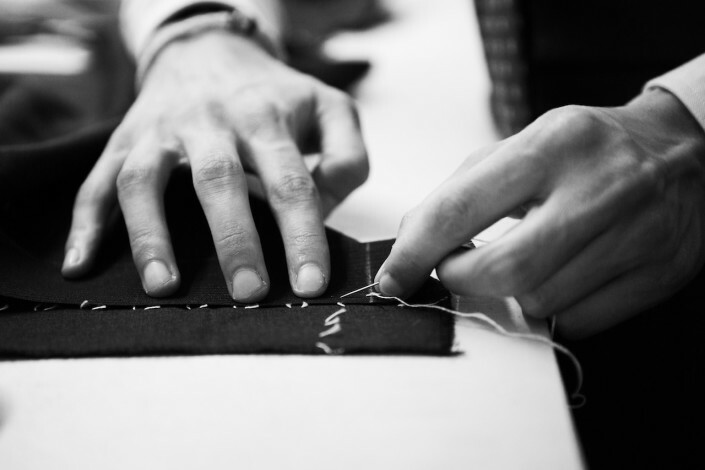 These are the final steps of the work; the collar is shaped and covered, the sleeves are sewn, the buttonholes are embroidered by hand. Before the buttons are fixed, the suit is pressed for several hours with a heavy iron, to clean up the line and to fix the final shape of the chest, shoulder and sleeve. Habitus’ jacket is soft, its sculpted structure reveals once it is worn. 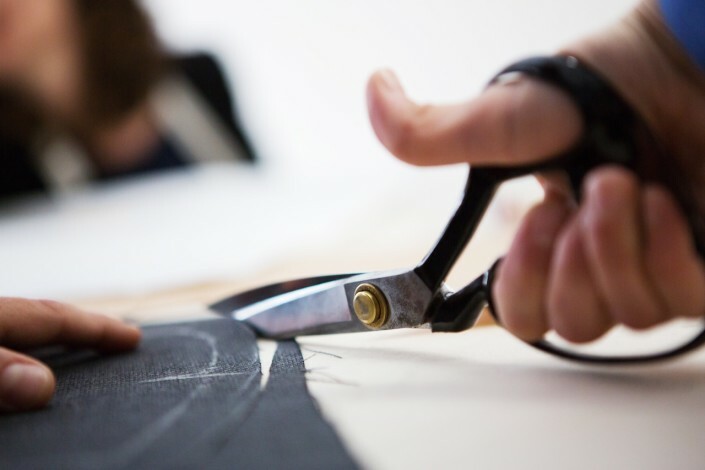 The volumes are created through a delicate balance of darts and pinces shaped with the iron, which define the line reducing the weight and the encumbrance of the canvases; the inner lining is lightweight, the padding almost nonexistent, so the fabric can express at its best. The peculiarity of habitus is the style of the front face, shaped through a single, curved dart on the side; the vents are high with the fold pressed to ensure the best fall of the back. The shoulder line is shorter than usual, it goes down from an important collar up to the shoulderhead, underlining the shoulder muscles and elevating the entire structure through a full sleeve with a tight, high armhole, sewn with a light roped effect, without paddings and roping. 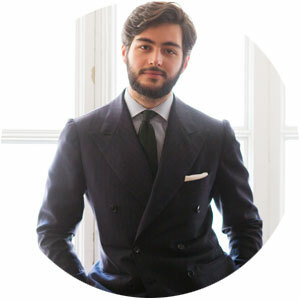 Gabriele, born and raised in Rome, likes to think of himself as a faithful lover of his city. He has a true passion for cars, design and beautiful houses; he grew up in his family’s atelier, surrounded by art and classical music, cultivating the love for custom made tailoring since his childhood. 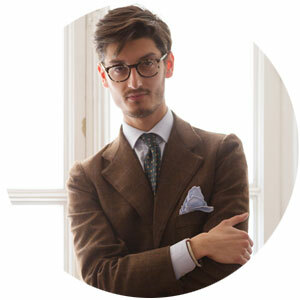 His sartorial philosophy links the lightness of the Neapolitan tradition to the aesthetic principles of the British style. 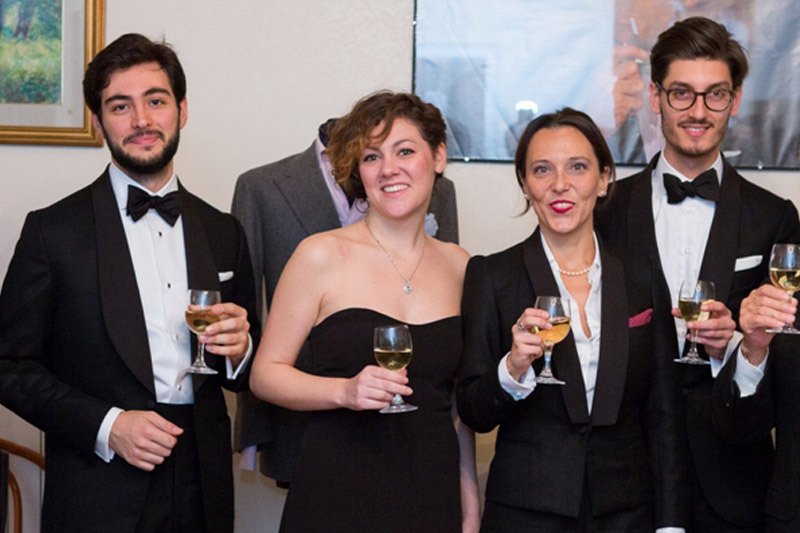 He is constantly looking for the perfect balance between classic and modern, always creating elegant garments with a twist, and staying true to the client’s style. 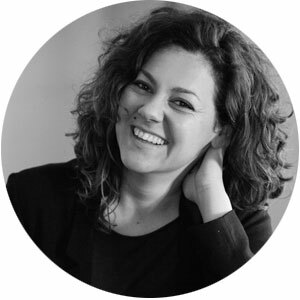 Lucia is born between needles, threads and fabrics; her grandmother, a seamstress for man, and mom teach her the rudiments of this art. He moved to Rome, where he began to study and work in the field of women’s fashion. 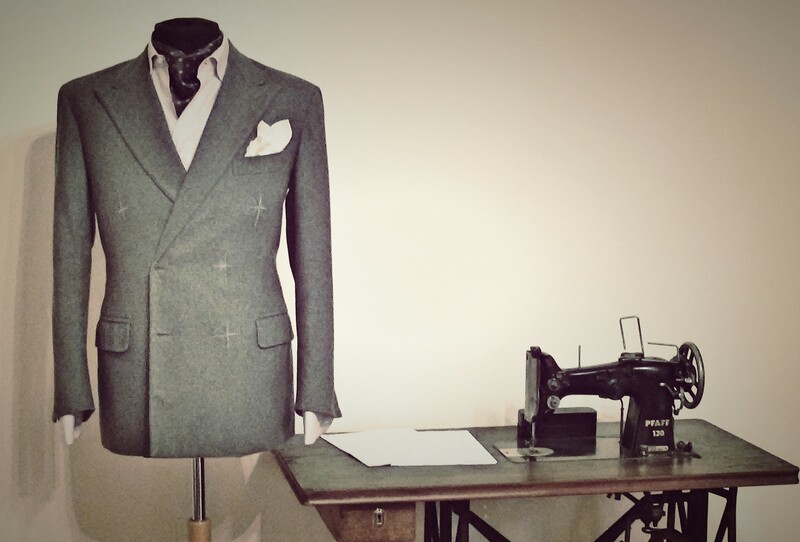 Become a model maker and cure some collections, but soon the call of masculine tailoring will be too strong. The family tradition on the one hand, and the advice of his teacher on the other, the push to return to the origin; meeting with Eleanor, Bernardo and Gabriel will close the circle. 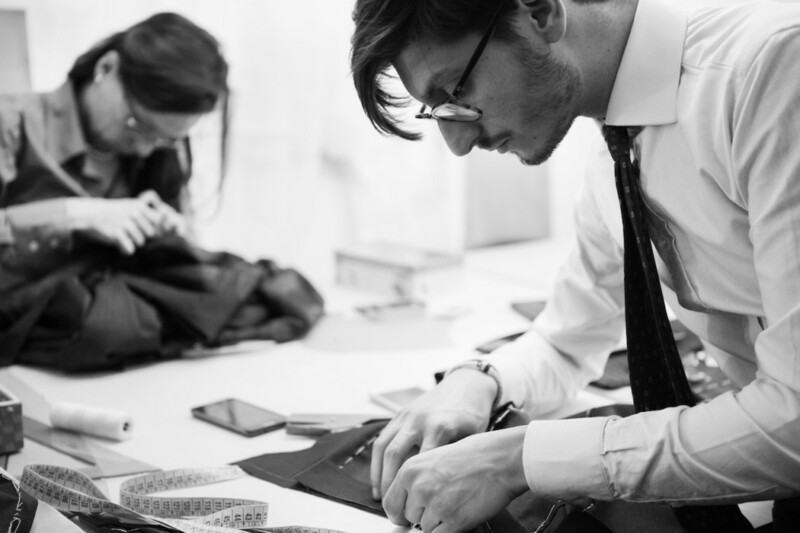 Bernardo grew up in Naples, but his passion for bespoke tailoring comes from England; his work is a synthesis between multiple aestethic influences. 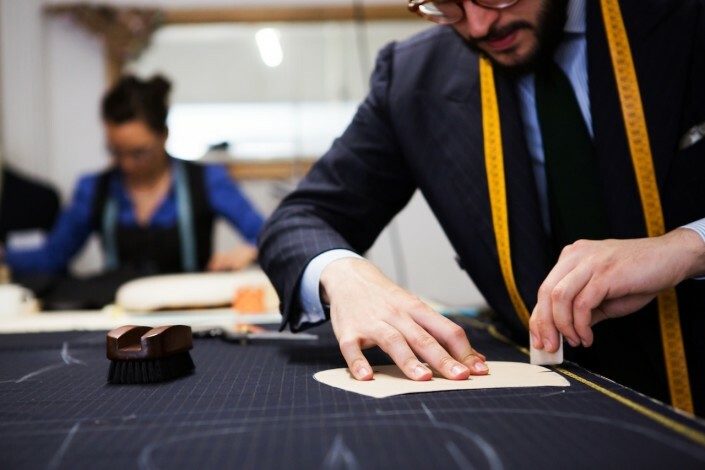 He randomly discovered the world of tailoring when he was in high school; at the age of seventeen, he commissioned his first bespoke suit, and after a trip to London , between the great houses of Savile Row, decided to become a tailor. 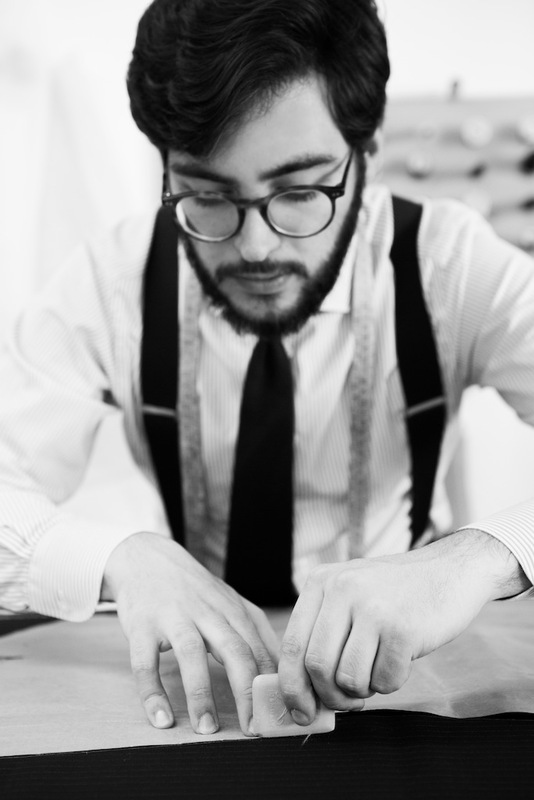 The path he follows is double, as a craftsman and as a student of textile fibres and history of fashion. 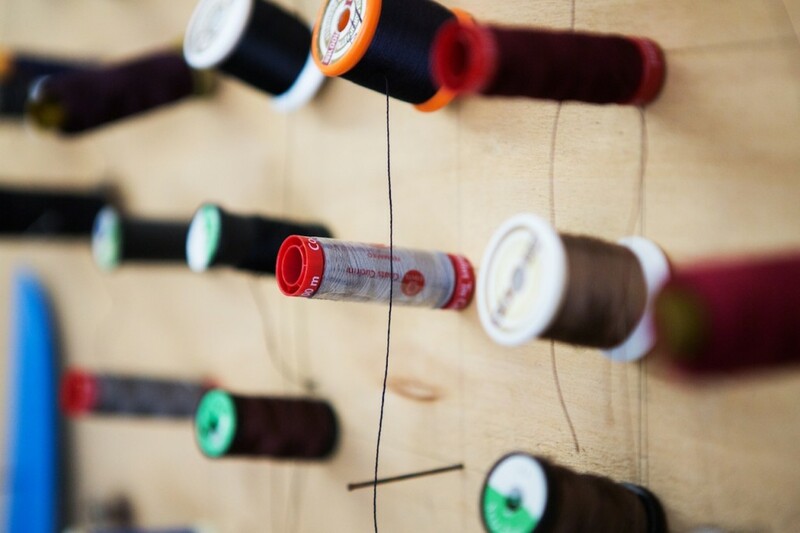 The passion for fabrics is the fundament of his tailoring ideology, which is conceived as a work of extraction of the garments from the fabric. The attention to details, to find the balance of the composition, the interest in the artisan world, love for the classic taste, elegance and beauty is what has characterized the university of Eleanor. However, considering its humanities incomplete, as purely theoretical, he wanted to enrich and combine them with the practical experience, manual crafts. In this way, enhancing an ancient passion, it decided that the workshop would be tailoring its training course before, life then. His research is, therefore, to translate thought patterns structured in the daily work routine. 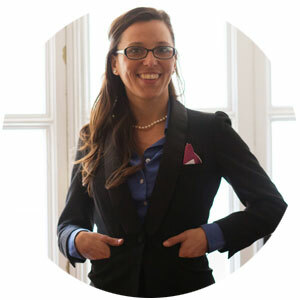 Habitus‘ team regularly travels in other cities or countries. We will be pleased to arrange an appointment (check the calendar below) or schedule another meeting when it is possible. Write us an e-mail for any further information. 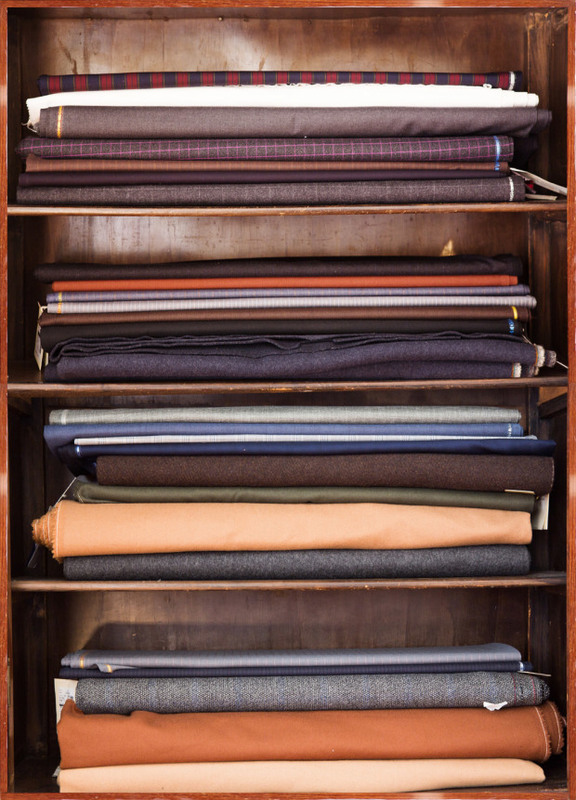 Any shape, from a harsh norfolk jacket to a dapper evening suit, needs the proper fabric; we might say the cloth itself defines its proper use. In our shop, aside from materials provided by italian and british clothmakers, we search for and collect precious, rare fabrics, old (6ply worsteds), heavy winter mohairs, strong flannels, crunchy irish linens, dupioni silks, massaua cottons, double gaberdines, sometimes in unusual colours, quite distinguished from the grey and blue off-the-rack standard. 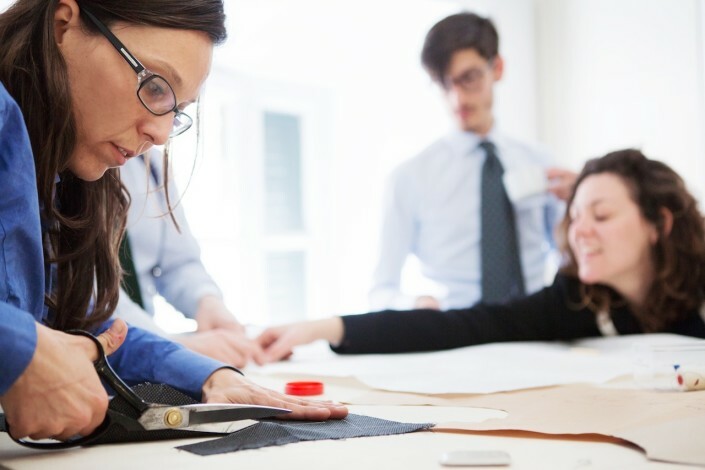 Our research is focused on heavy weights and thick weaves; once those fabrics are turned into suits, jackets and overcoats, they will ensure an impeccable drape and expression.